The Digitech-i Wide Angle Lens increases the view range on your smartphone. 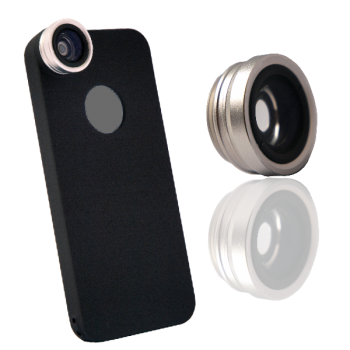 The lens can be mounted onto the iPhone 4 / 4s / 5 or Samsung SIII enhancing the built in camera to capture high quality Wide Angle images and videos (AVI). The full package includes a Phone cover and Wide Angle Lens. Additionally, this compact Lens requires no batteries and displays full screen image.